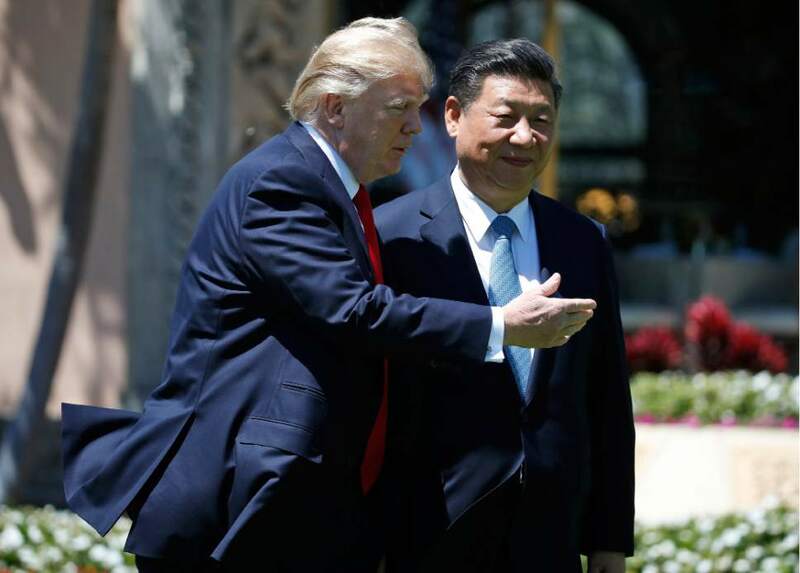 As China's president and Trump talk tough, a chilling of relations could stunt domestic expansion and negatively affect Utah. Beijing • However loudly President Donald Trump and his supporters call for putting "America First," the voices across the Pacific Ocean pressing for China are louder. With 1.35 billion residents  equivalent to the U.S. population plus a billion people  the Asian giant&apos;s rising economic trajectory accounted for nearly 40 percent of all world growth in 2016 and an outsized share of global trade, including $649 million in exports from Utah that year. China&apos;s drive toward sustained, rapid and at times mind-boggling development motivates much of how it sees itself  and how it will respond to the new U.S. administration  judging from a recent 10-day tour by American journalists, which included The Salt Lake Tribune, funded by a Hong Kong-based nonprofit foundation. The country&apos;s transformation is complicated, even potentially threatened, by Trump&apos;s visions of China, variously rendered on Twitter as a currency manipulator, fabricator of climate change, dishonest trader of steel and automobiles, or as too reluctant to help with hot spots like North Korea. 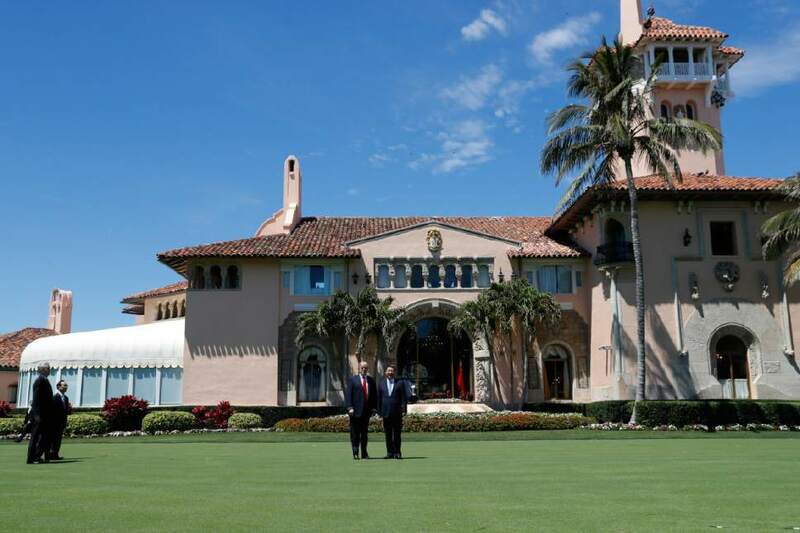 In forging a new 100-day plan to revamp their trade relationship  announced just over a week ago by Chinese President Xi Jinping at Trump&apos;s Mar-a-Lago resort in Florida  China and the U.S. may yet dodge a market-dampening trade war, or at least delay a showdown. Based on late February interviews in Beijing and Shanghai, Xi and Trump may have their differences, but they are serving startlingly similar agendas at home. Both leaders have promised economic improvements for their disadvantaged and rural citizens; trillion-dollar public-works rebuilds; refreshes of manufacturing, transportation and energy sectors; and more mutually beneficial deals with international partners. Meshing it all without conflict may be tricky, if not impossible. Trump  who tweeted "only time will tell on trade" shorty after his meeting with Xi  has said he seeks a new balance with the world&apos;s second-largest economy and a fairer shake for U.S. companies. As a candidate and then president, he has blamed American declines in part on China&apos;s monetary policy and a swelling U.S. trade deficit year after year. That number has dipped slightly from a 2015 peak of $367 billion, but the gap remains too high, according to senior White House officials, who characterize it as lopsided and unfair. Xi said the summit highlighted "a thousand reasons to make the China-U.S. relationship a success" and "not a single reason to break it." 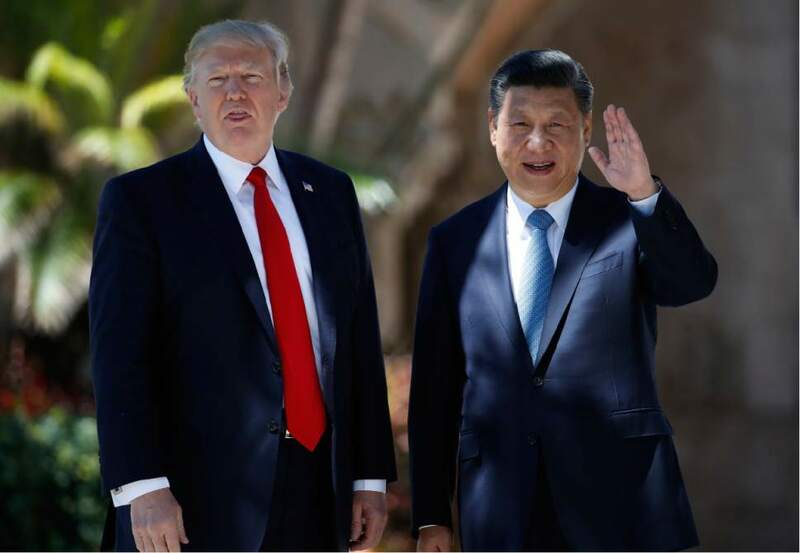 The Chinese president has since reportedly offered to lower some barriers to financial-sector investments by U.S. firms and to drop a longstanding import ban on American beef. 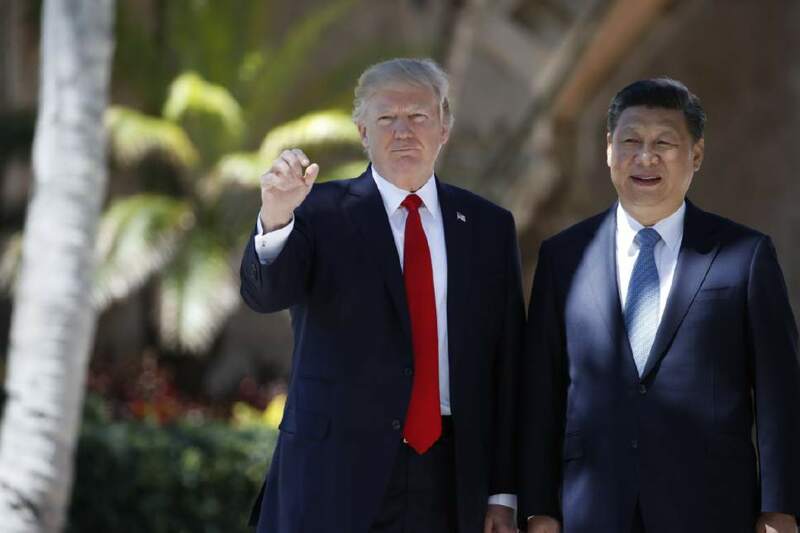 Privately, Chinese officials said some in the ruling Communist Party elite have been rattled by Trumpian assertions and want assurances of stability, especially in light of threats of new border-adjustment taxes on Chinese imports. 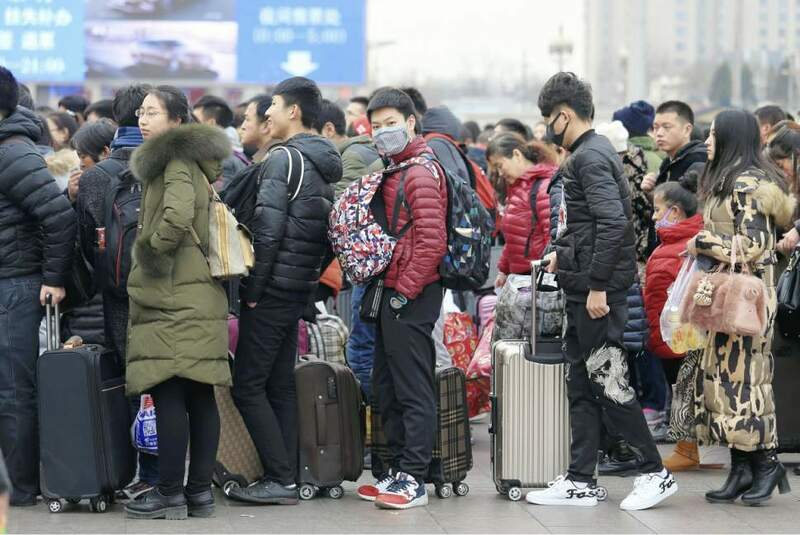 "Now people are worried," said Shen Dingli, professor at Fudan University&apos;s Institute of International Studies in Shanghai. Trump&apos;s proposal for a 45 percent import tariff on some Chinese goods, he said, "would destroy the U.S.-China trade relationship." "What if Trump were to close the door? Build a wall? A wall is very symbolic," Shen asked, in a wink to China&apos;s own Great Wall. Never-ending work • Chinese lore confers the majestic white crane with auras of longevity, determination, wealth and power. Those meanings plays out endlessly in Beijing and other cities countrywide, their skylines punctuated with towering construction cranes. As these metallic birds sway and bow above countless work sites, they seem to offer a ubiquitous nod to Communist Party goals for lifting millions out of poverty. After nearly 40 years of market capitalist reforms infused into a centrally run economy, China has raised conditions for up to 800 million people, by World Bank estimates, all at a pace unrivaled in history. Even in person, the scope and magnitude of that expansion are hard to grasp. 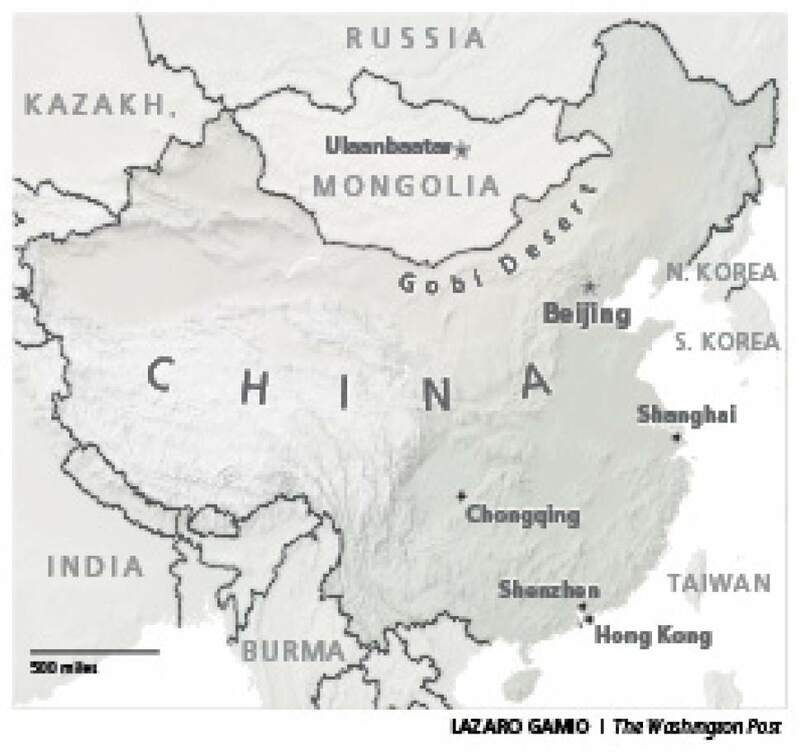 China used more concrete in one recent three-year period than the U.S. laid during the entire 20th century, part of an immense surge of commercial, residential and industrial expansion that reflects Communist tenets of central planning. Major construction projects, underway and newly completed, seemed to blossom everywhere during a Feb. 22 to March 3 tour of Beijing, Shanghai and cities in east-central Henan province. Waves of rural Chinese with vastly diverse cultures and dialects have moved to cities, quickly ramping up a host of social and urban problems, not the least of which is air, water and soil pollution. Over 40 Chinese urban clusters hold more people than the 3 million living in Utah. Entire residential, business and industrial districts, including dizzyingly large swaths of Beijing and Shanghai&apos;s row of motley skyscrapers along the Huangpu River, have risen in little more than a decade. Massive arrays of apartment towers enmeshed with commercial zones often dominate these new landscapes, built quickly and in striking, futuristic and richly distinct architectural styles. 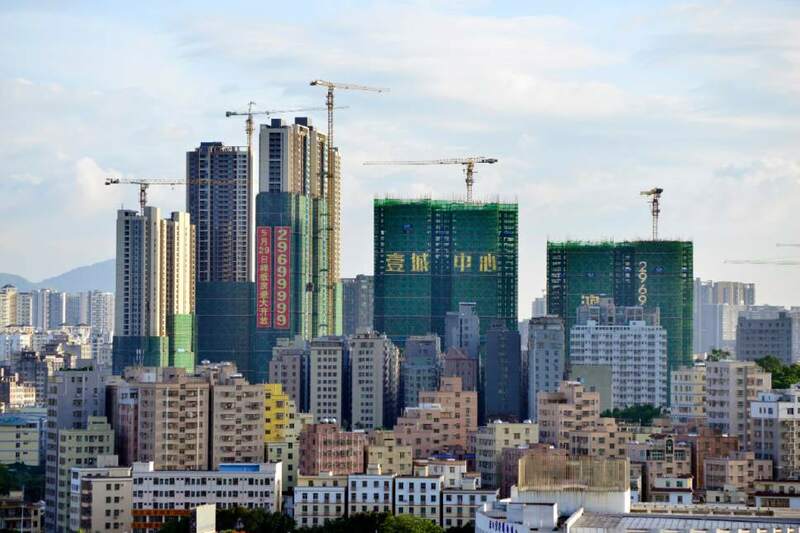 With many thousands of units each, single residential complexes in Beijing&apos;s environs commonly have as many dwellings as make up Utah&apos;s entire apartment-building boom since 2010. China&apos;s policymakers say they hope to guide the country toward a more sustainable, consumer-based economy. But it&apos;s clear the national vision  driven by government programs, huge population shifts, state-owned industry and privately held Chinese and foreign companies  all remains heavily dependent on open and free-flowing global markets. Promises at home • In March, Xi, as head of the Communist Party, addressed its annual National People&apos;s Congress and reiterated a long-standing poverty-alleviation campaign. Benchmarks now loom for pulling more than 40 million, largely rural, Chinese above the country&apos;s $334-a-year poverty line in just four years. Under the same grand strategy, China would be fully modern, industrialized and prosperous by 2050  the centennial of the Communists coming to power. Several Chinese researchers said that while the importance of feeding U.S. export markets to meet those goals has lessened, the two economies remain tightly bound, at more than $500 billion in yearly bilateral trade. China also holds nearly $1.12 trillion in U.S. debt, or about 10 percent of its total red ink, a sign of Beijing&apos;s faith in future U.S. economic muscle. Evidence suggests that lasting damage from new trade barriers could spark economic frustrations and political unrest in both countries, jeopardizing the agendas of their respective leaders. Millions of Chinese whose fortunes Xi has promised to raise, partly through trade consistency, may also be key to his own longevity in power, something he is signaling he wishes to extend. Since taking office in late 2012, Xi has launched party loyalty and anti-corruption campaigns as well as clampdowns on civil society and censorship on the web. The 63-year-old leader, readying for another party confab this summer, has already been likened to Mao Zedong for his firm grip on party control. Trump, of course, has promised a return of high-paying American manufacturing and mining jobs. He has linked that to addressing China&apos;s alleged currency tricks and knocking down trade inequities. While he struggles with Congress to enact his domestic agenda, foreign trade may be an area where he acts unilaterally. Utah&apos;s connection • Whatever actions Trump or Xi takes, shifts in U.S.-China trade are already hitting Utah hard, underscoring the state&apos;s high stakes in the debate. 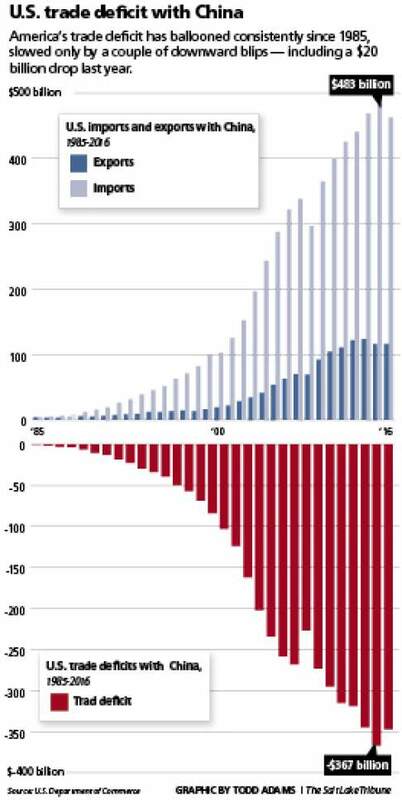 U.S. exports to China have slowed steadily for nearly four years and actually began to drop in 2015 from the 2014 high of about $120 billion, part of a slowdown in the Chinese economy and its turn toward nurturing a domestic middle class to buy its own goods. Utah&apos;s main foreign exports to China  and the world, for that matter  are primary metals such as steel, iron ore and copper. Prices for these commodities have fallen to historic lows, slashing the dollar volume of Utah-China trade from $1.4 billion in 2013 to less than half that last year. Leading Utah experts, though, said Utah-China trade flows will remain a key component of the state&apos;s import-export economy, given the Asian nation&apos;s growing affluence, thirst for goods and vast history centered on commerce. "These are traders," Derek Miller, president and CEO of Utah World Trade Center, said of China. "They&apos;ve been traders for millennia." Former Utah Gov. Jon Huntsman said he expects China exports to broaden and strengthen in other sectors of Utah&apos;s economy, such as computer software, biotechnology and basic manufacturing. A U.S. trade negotiator with China before becoming governor in 2005 and subsequently, ambassador to China, Huntsman predicted Chinese tourism will expand as well, lured by Utah&apos;s national parks. Its universities and colleges also remain a strong draw for Chinese students. Utah has benefited just as dramatically, Huntsman and others said, from decades of in-state Chinese language programs, whether immersion studies at several of its public schools or missionary training by The Church of Jesus Christ of Latter-day Saints. "If you&apos;re looking for things that separate us from others," said Provo Mayor John Curtis, who is conversant in Mandarin, "it&apos;s the Americans who speak their language." History&apos;s pitfalls • With surprising consistency, thought leaders in Beijing and Shanghai said China remains a developing country, not an imminent world superpower. One senior official put its progress at least 30 years behind the U.S.
Amid talk of China filling global vacuums left by Trump&apos;s "America First" ideology, a selection of China&apos;s top foreign observers, academics, journalists, entrepreneurs and think-tank researchers alluded to a tacit "China First" policy, reflecting domestic needs and a sense of unique identity. "We still have a long way to go," one senior Chinese diplomat said, speaking on background due to sensitive aspects of Trump-Xi talks. "China very much needs stability and a peaceful environment in which to prosper." One commonly held Chinese view of U.S.-China relations harks back to the ancient Greek philosopher and historian Thucydides and his theory  called Thucydides Trap  that when a rising power sparks fear in an established power, it inevitably leads to war. In interviews, several Chinese officials noted the dozen or so times in history the trap theory proved true, then listed reasons the U.S. and China might avoid it. Never before in world events has the rising power been an Asian nation, one diplomat said. Both have seats on the U.N. Security Council, another said. More crucially, the nations perched on both edges of the Pacific Rim have kept diplomatic ties for 38 years, helped grow each other&apos;s markets and fostered "people-to-people" ties that lead nearly 4 million to traverse their shores annually. "It is so much different from the past," one senior Chinese diplomat said. Yet, this moment is unparalleled in history. With the China of 10 or even five years from now already difficult to imagine, the contours of its U.S. trade relations are now just as unclear. Editor&apos;s note: Former Utah Gov. Jon Huntsman is the brother of Salt Lake Tribune owner and Publisher Paul Huntsman. Tribune editor and former business reporter Tony Semerad traveled to China in late February with U.S. journalists touring Beijing, Shanghai and several cities in east-central Henan province. Meant to promote understanding between the two countries, the 10-day trip was sponsored, organized and paid for by the China-United States Exchange Foundation, a Hong Kong-based nonprofit, nongovernmental and privately funded group.